Lisa Lampanelli serves the best rib cracking jokes capable of rotating planet earth multiple times. She is a renowned American stand up comedian and actress whose works have left an indelible mark on the entertainment industry. She is also known as an unrepentant insult comic who does not spare her victims many of whom are celebrities. Lisa survived the tough hurdles that come with the business of comedy and has risen to a great pedestal in the industry. Here are lesser known facts about the talented comedian. She was born on July 19, 1961, to her parents Gloria and Leonard Lamougnale, in Connecticut but the comedian identifies as a New Yorker, owing to the fact that she built her career in the big city. After her elementary and high school education, she attended Boston College where she studied journalism. Afterwards, she enrolled into Harvard where she attended the Radcliffe Publishing Course before working at Popular Mechanics as a copy editor. Lisa practised her journalism profession before venturing into comedy. She worked as a journalist for Spy magazine, Rolling Stone, and Hit Parader. But in all this, Lampanelli knew what her calling really was. She gradually tilted towards stand up comedy in New York in the 90s. Lisa continued until the early 2000s when she made her big break in 2002, at the New York Friars’ Club roast of Chevy Chase. Lisa was a full participant at the roast of other celebrities like Donald Trump, Flavor Flav, William Shatner, Jeff Foxworthy, and many others. In 2005, she released ‘Take it Like A Man’, a comedy special on DVD which was a commercial success. The following year, Lisa got a deal with Fox for ‘Big Loud Lisa’ a sitcom pilot which was to be aired on the network that year. That same year, Lampanelli taped ‘Dirty Girl’ her stand up comedy special. Dirty Girl which was directed by Dave Higby was aired on Comedy Central in January 2007 and it garnered massive views across the country. In November 2008, she taped her first one-hour HBO special ‘Lisa Lampanelli: Long Live the Queen’. In 2012, Lisa participated in ‘The Celebrity Apprentice’ where she raised $130,000 for Gay Men’s Health Crisis. Lisa’s comedy style of vulgar and insulting words have kept her on the table of discussion on various platforms for many years. She has also won a large fan base with her outrageous lashings on celebrities, races, and sexuality, which earned her the name ‘Comedy’s Lovable Queen of Mean’. Lisa Lampanelli sits on an estimated net worth of 4.5 million, garnered through her stand up comedy shows and TV appearances. The exceptional comedian is sure to attain greater heights in the industry given her unique style and aggressive approach. Lampanelli’s massive support for the LGBT community has given rise to public speculations regarding her sexual orientation. These claims are also encouraged by her comic emphasis on homosexuality and lesbianism. Lisa seems not to be bothered by all these and have never responded to the rumours – another course to believe she is not straight. However, Lisa’s marriages somehow quash these speculations. She was first married in 1993 to James Stock. It isn’t clear what came between them but their marriage lasted for only a year, although they still remained friends. Lisa’s second marriage was to Jimmy Cannizzaro, from New York. The two got married in October 2010 but their marriage lasted only four years. Lampanelli filed for divorce from Jimmy in May 2014. Lampanelli, a known supporter of the LGBT community, was caught up in a controversy in 2011 when the Westboro Baptist Church protested against an inappropriate themed show she held in Kansas. The comedian had reacted in the most admirable way by promising a donation of $1000 to Gay Men’s Health Crisis for each protester that showed up. 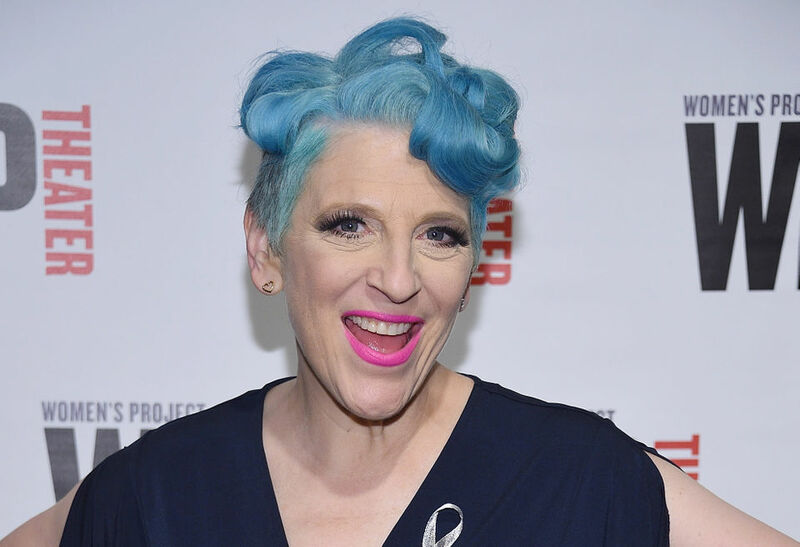 Lisa Lampanelli who – apart from her insult comics, was also known for her heavy weight wowed her fans in the early part of 2012 when she shed a large part of the extra flesh. In 2012, Lampanelli lost 107 pounds of her weight, all thanks to gastric sleeve surgery. The comedian also changed her dieting and took on some work out plans to aid her weight loss journey. No gainsaying it all worked out well for her in the end.